Leviim Is Headed to the White Mountains! Though second session has only just begun, it is amazing how quickly our חניכים (campers) have jumped into the wonderful craziness and excitement of camp.The past two afternoons for the חניכים have been super active and exciting. 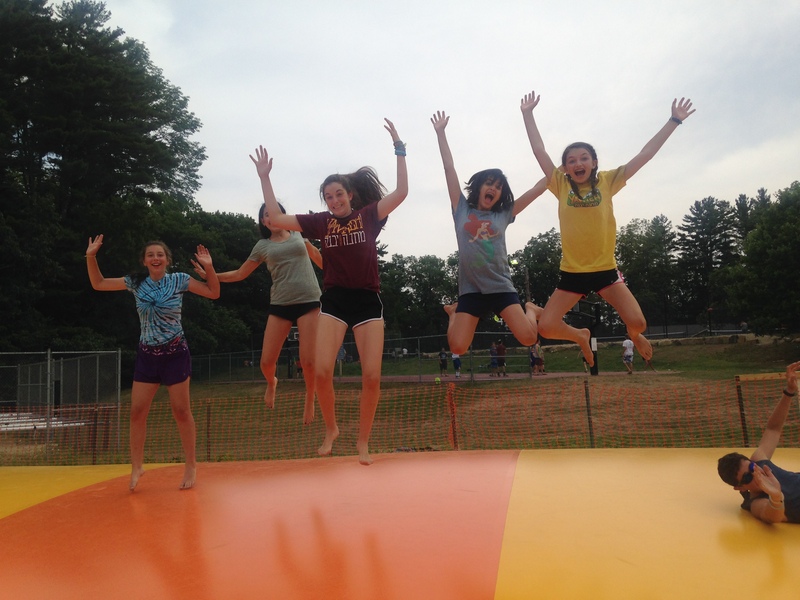 The בנות (girls) bounced on the Kangaruach (above ground trampoline), started practicing for the annual Leviim-Maalot כדורגל (football) game, and learned how to throw atlatls with Amiel, ראש טבע (Rosh Teva)! The בנים (boys) played כדורגל (basketball) and כדורסל (soccer), and everyone went in the אגם (lake) f or some refreshing free swim. Yesterday, we celebrated יום High School!! We were inspired by Kerem’s performance of High School Musical, which we watched Tuesday night. חניכים were assigned different groups to dress up as and last night enjoyed a huge prom dance party, with the well-loved bar/bat mitzvah game Coke and Pepsi, some amazing music, and a beautifully decorated venue. Today we will be going to the White Mountains for a little טיול, and what we hear is an amazing hike. We are all getting so excited for the first Shabbat of second month tomorrow, which we know will be restful, spiritual, and relaxing for our wonderful חניכים. More to come soon!!! We can’t wait.